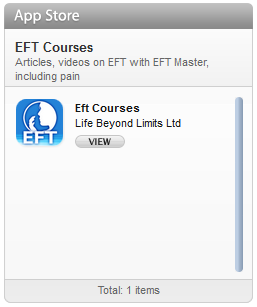 EFT (Emotional Freedom Technique) is the term used by Gary Craig the developer, for the meridian therapy approach he developed from Thought Field Therapy (TFT). 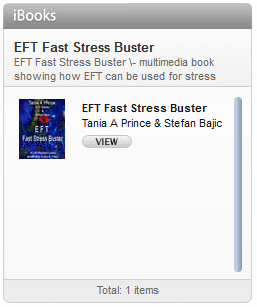 EFT was developed in the 1990’s. It is a psychological form of acupressure. There are no needles involved in the process. 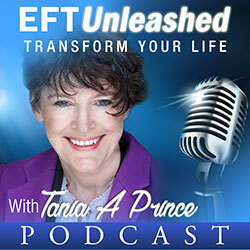 EFT involved tuning into the problem and then tapping on a specific set of acupoints and re-balancing the energy. Acupoints are energy points. Tap approximately 7 times on the points indicated using light percussion whilst repeating the following statements. The words “this problem” are used the represent the issue, when working on a real issue, you would use the words that define the problem more accurately such as “this tight headache across the front of my forehead”. Tap on the points indicated below and repeat the statement in italics, remember to substitute the words that truly identify your specific problem. The following diagram shows the tapping points used in the shortened EFT Protocol. There are other tapping points that can be used. In the original classic EFT, fingers points were also commonly used as was a point located on the chest called the “sore point”. The “sore point” was rubbed as opposed to being tapped. It was used in place of the karate point for setting up the problem.